Police in Sri Lanka imposed an island-wide curfew starting Sunday at 6 p.m. local (8:30 a.m. ET Sunday) until the morning. The country’s authorities convened an emergency meeting involving the heads of the army, air force and navy, according to Sri Lanka’s economic reforms minister, Harsha de Silva. He said on Twitter that all emergency steps had been taken and that the group would issue a statement on the blasts. 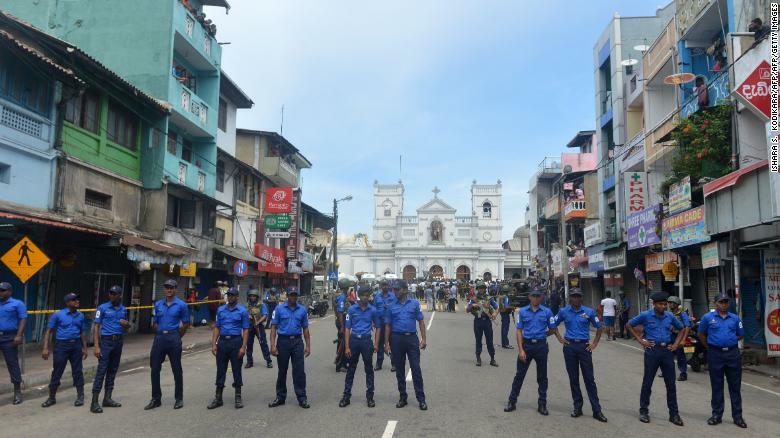 Sri Lankan security personnel keep watch outside a church in Colombo after a blast Sunday. Have you ever wondered what Fox News might sound like if they were truly covering this president, not just carrying his tainted water? Now This has released a super cut of actual commentary from Fox News hosts and guests and quite simply, you have to hear this. All of it. Every bit of commentary in this clip is so deadly, hilariously, frustratingly accurate … about Donald Trump.